Man has been directly or indirectly modifying the coffee bean since it was first smuggled out of the Yemen into Mysore India, and then taken back to Europe in the 1600’s. This has resulted in a large number or arabica varieties, that either developed naturally by a becoming ingrown like bourbon or by being exposed to similar plants like Robusta or Liberica trees. The direct process was driven by a need to allow coffee trees to grow in areas that made them susceptible to disease like coffee rust. 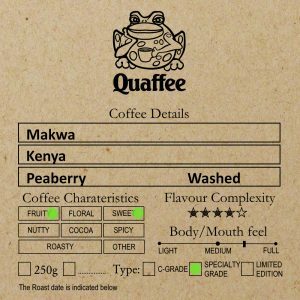 The coffee market is now dominated by these varities today, there are over 40 varieties now, of which the purest is “typica”. The closer the arabica variety is to the typica (the original Arabica from Ethiopia) the more flavoursome it is, and the harder it is to grow. 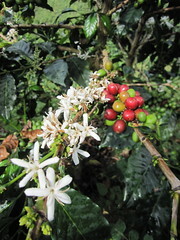 Arabica typica needs to be grown under a forest canopy, and typically at an altitude of over 1,600m and in a temperate climate, otherwise coffee rust develops preventing the tree to fruit, and even destroying the tree it self. 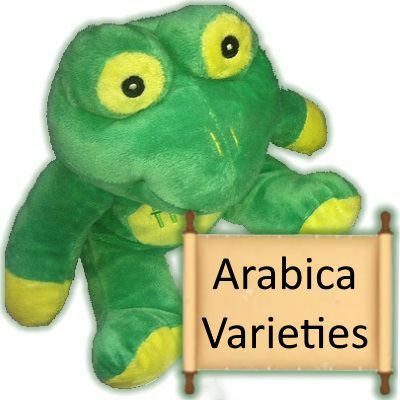 How many varieties of Arabica are there? See video above. We are not sure but here is a list of ones sampled and heard of. heirloom Any coffee from Ethiopia is normally called this, it basically means there are too many varieties, but this is where Arabica coffee was first found. The WCR.org has started cataloging the different varieties as they can. You can read more here: varieties.worldcoffeeresearch.org.